Update: Our Fall 2018 Guide is on line. In search of a great meal? We present our list of the best restaurants in the Woodlands and surrounding areas, as of the fall of 2017. Our expert panel is anonymous by design, so restaurants aren’t tempted to provide special service. We defined “The Bubble” as the region bounded by I-45, Sawdust Road, FM 2978, and FM 1488. We’ve included a few select restaurants outside the bubble if they’re outstanding and close enough to be a reasonable drive for dinner. Tasting menus allow a chef to really stretch his wings and create amazing dishes designed to delight the discerning foodie. Restaurants dedicated to tasting menus are few and far between, and represent some of the most remarkable meals to be found. Usually located in major cities, Chef Austin Simmons has brought this ultimate dining experience to The Woodlands to rave reviews. Texas Monthly named Cureight one of the Ten Best New Restaurants in Texas, and the local and national press has been raving about Chef Austin’s use of exotic ingredients combined with expert technique and a flawless palate. If you want an unparalleled dining experience, look no farther. Chef-driven restaurants are rare in The Woodlands, but Chef Austin Simmons demonstrates how successful they can be. Formerly known as Hubbell & Hudson Bistro, TRIS features innovative cuisine, and everything from the outstanding burgers to the most elaborate entree shows the kind of attention to detail that is the hallmark of a great restaurant. Chef Austin has the uncanny knack of combining diverse and unique ingredients into dishes that surprise and delight, while maintaining the integrity of the cuisine. 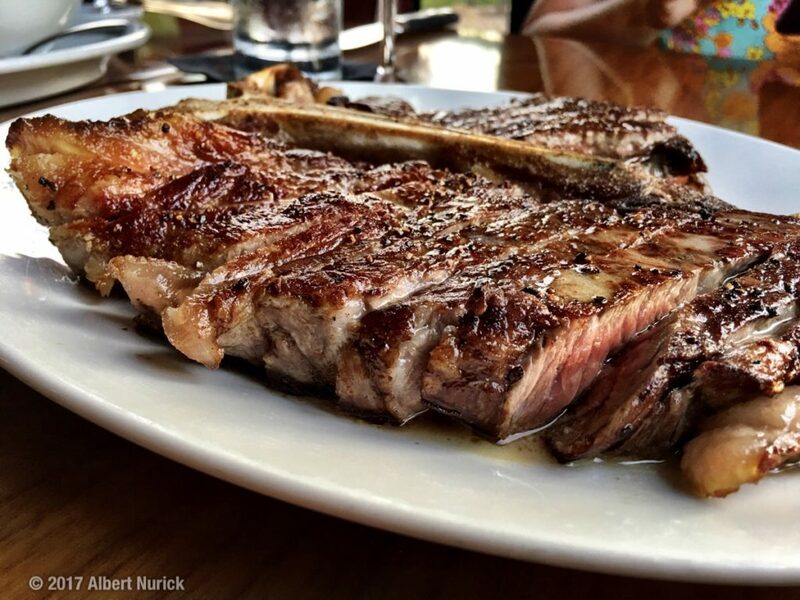 Steaks are also a strength; prime, of course, but Akaushi Texas Wagyu and in-house dry aged cuts are offered as well, and Japanese A5 (Miyazaki) is available for the true connoisseur. TRIS has a bit of a split personality. Upscale and slightly formal at dinner, much more casual at lunch. Happy hour is a great time to sample different dishes (including that incredible burger); the well-priced list of offerings is the perfect way to begin your night out. A visit to Robard’s is about more than just dry-aged USDA prime beef. 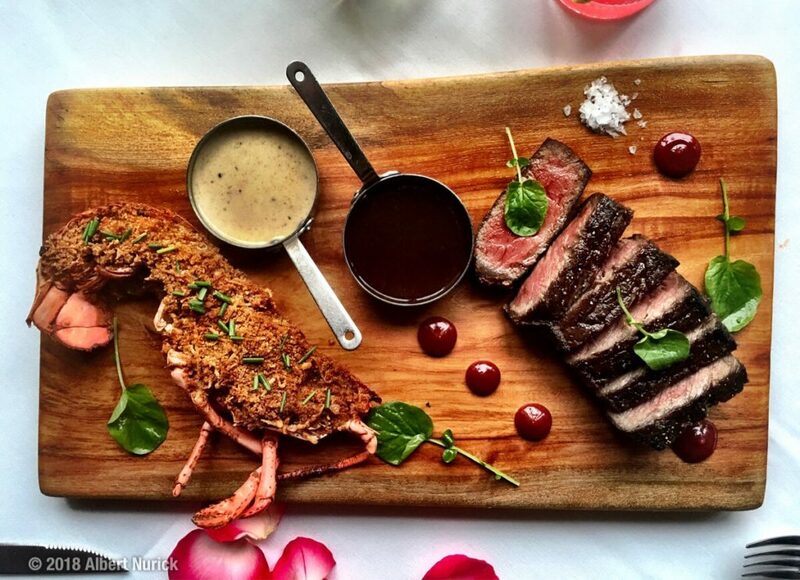 The beautiful setting is reminiscent of a private club, and the outstanding cuisine does not end with superb steaks. We’re fond of the excellent seafood entrees as well, and be sure to save room for the opulent desserts. 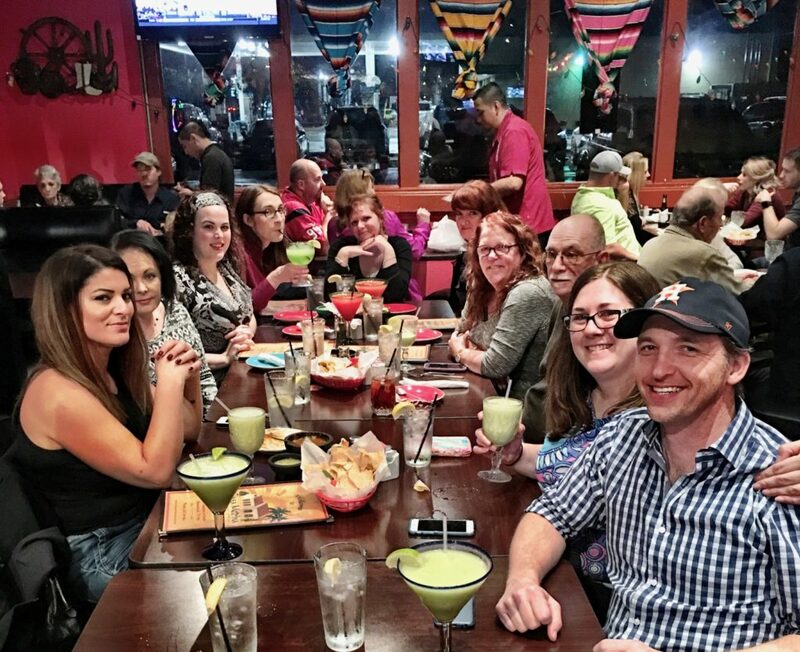 Social Hour at Robard’s is one of our favorite happy hours in The Woodlands. An impressive craft cocktail program keeps us coming back to the beautiful bar and the expansive deck outside. Update: Robard’s experienced a change in leadership in 2017. We’re looking forward to seeing how the new team smooths out the inevitable bumps that happen with a shakeup in both the front and back of the house. Wine lovers flock to this Heights import for the great selection of well priced wines, including some rare options by the glass. 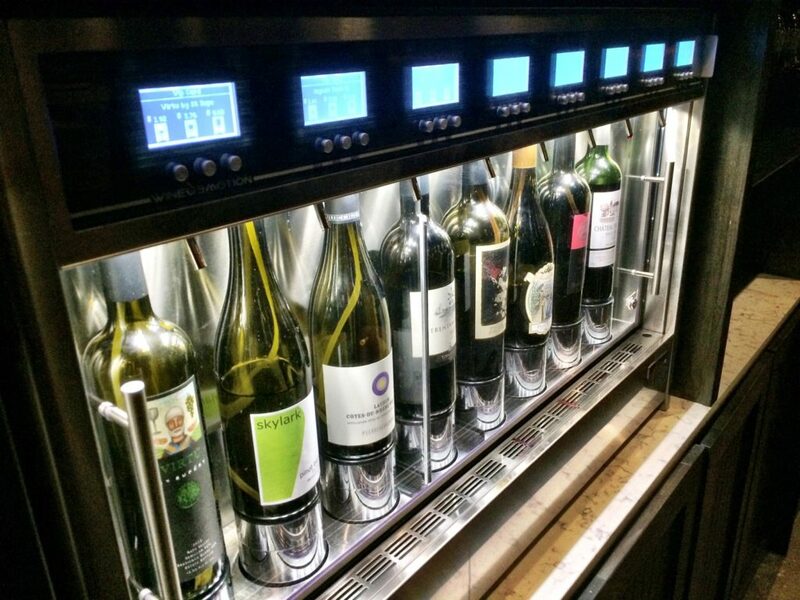 Crisp’s Enomatic machine keeps them fresh, and allows patrons to serve themselves. 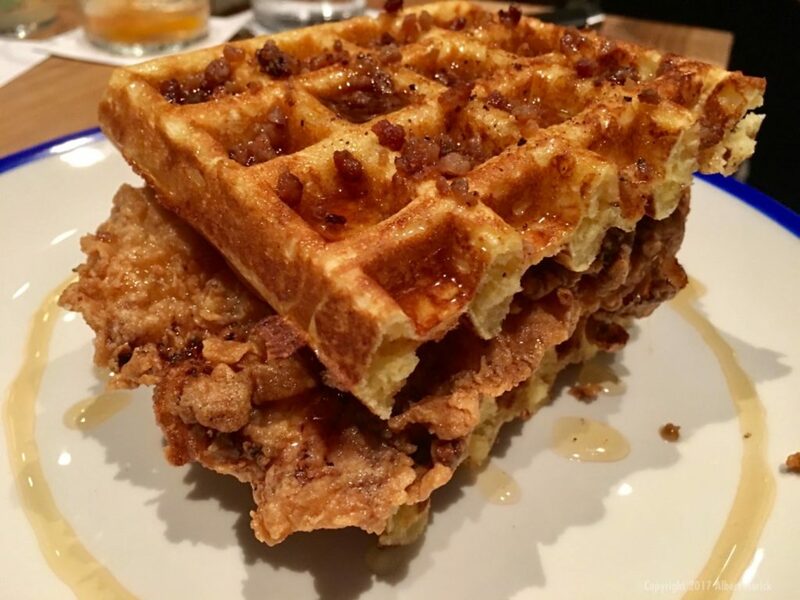 Food isn’t an afterthought; from clever gourmet pizzas to upscale entrees, and an outstanding weekend brunch (Friday, Saturday and Sunday) Crisp keeps us coming back for more. Lunch at Crisp can be a fantastic bargain. A nicely curated list of $10 lunch specials includes chicken D’Angelo, which just may be the best spin on chicken parmigiana in the area. It’s a steal (and only available) at lunch. 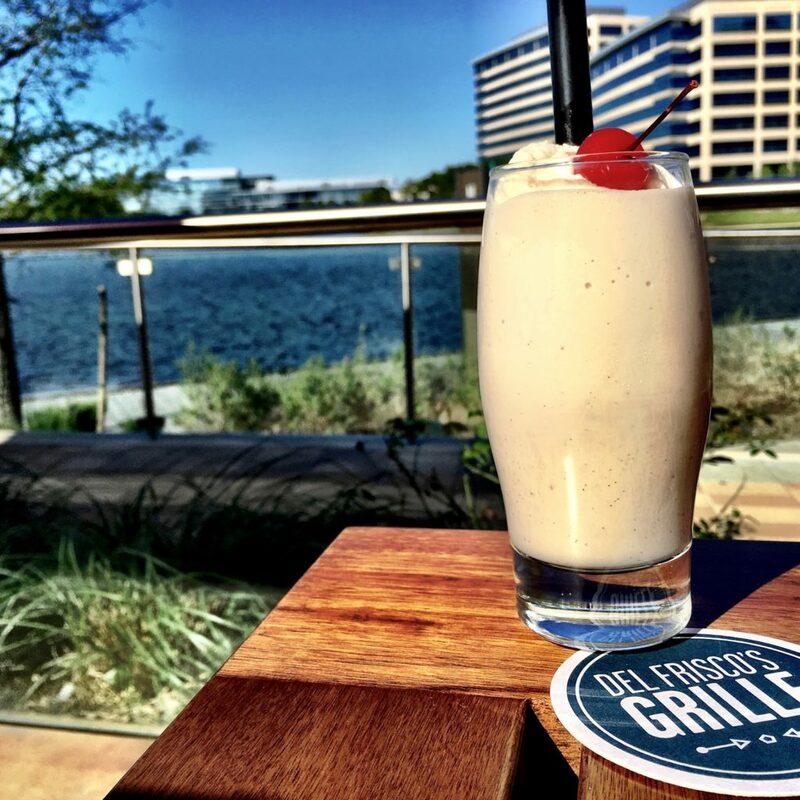 We love the patio at Del Frisco’s Grille; the view over the lake is perhaps the best in The Woodlands. The food satisfies too; from the legendary Del Frisco steaks, to the enticing flatbreads, cheesesteak egg rolls (believe us, it works), and well executed entrees. At lunch, we’re especially fond of the Grille Prime Cheeseburger, a double-patty creation worthy of any burger lover’s attention. The well-trained staff anticipates patrons’ needs and provides excellent service. Chef Brian McNamara serves up outstanding specials; call ahead to see what magic he’s worked today. 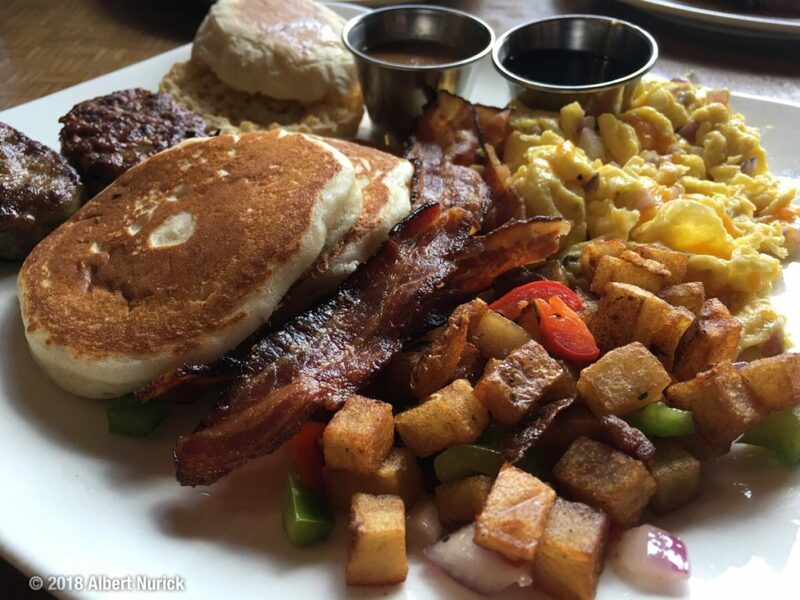 Housemade is a term you’ll hear at Fielding’s Local. Owner Cary Attar is passionate about the details, and his customers are the beneficiaries. His partner, Chef Edel Goncalves, has created a tightly edited menu featuring local, all-natural, and organic ingredients. This chef-driven approach to the food delights and surprises, be the dish based on pan-roasted chicken, housemade bacon, or 44 Ranch beef. Creekside Park has a genuine destination restaurant. The airy, modern bar doesn’t disappoint, with superb craft cocktails and a rotating selection of beers on tap. The popular seafood and steak chain has landed at Hughes Landing, and locals have already made it a preferred destination. Crabs are front and center, and Truluck’s does them well. 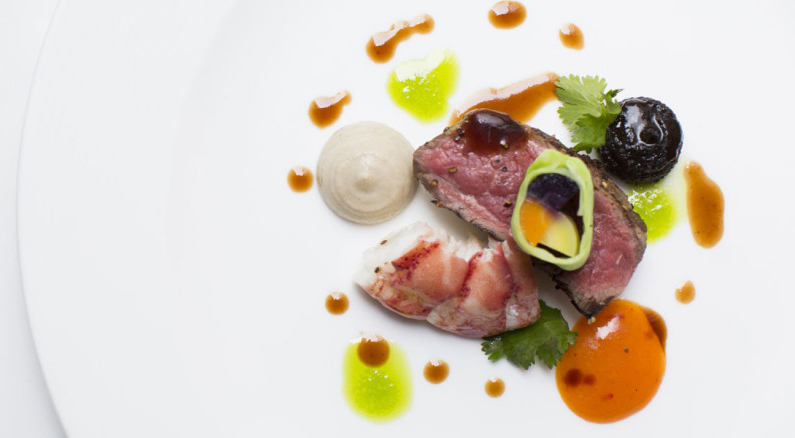 Chef Shane Flynn is a master of seafood, and his menu reflects this expertise. Those wanting something less aquatic head for the selection of prime steaks and choice filets. Cocktail Hour at Truluck’s is a scene; the half-priced cocktails and nice selection of seafood appetizers satisfy those looking to see and be seen at the stylish bar. We never expected to find good food in the Holiday Inn off Research east of I-45. So we were pleasantly surprised by Johnny’s Italian Steak House, a mid-priced steakhouse that also features some very good Italian dishes. 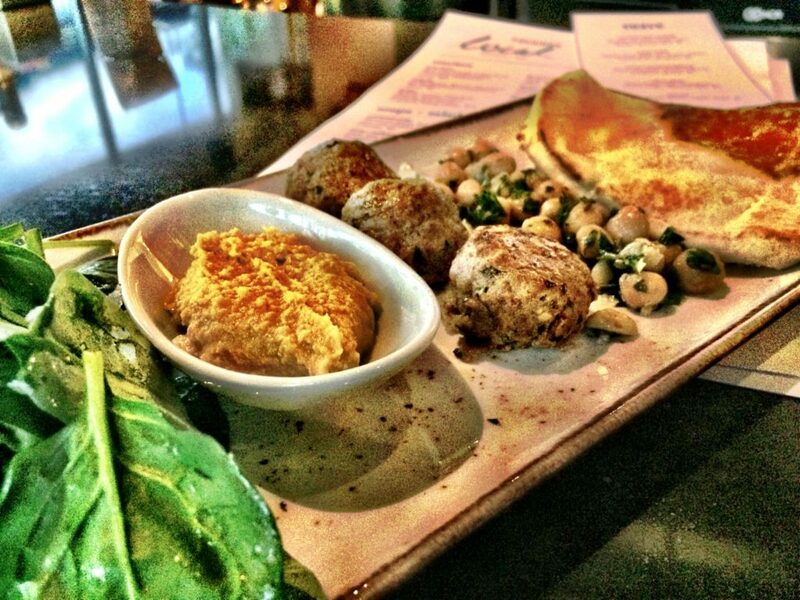 We’re particularly fond of their happy hour offerings – well priced appetizers perfect for sharing. Service is attentive without being intrusive and the room is beautiful and cozy, making it perfect for a getaway with that special someone. Johnny’s demonstrates that you don’t have to pay a lot to enjoy a quality steak in a beautiful setting. 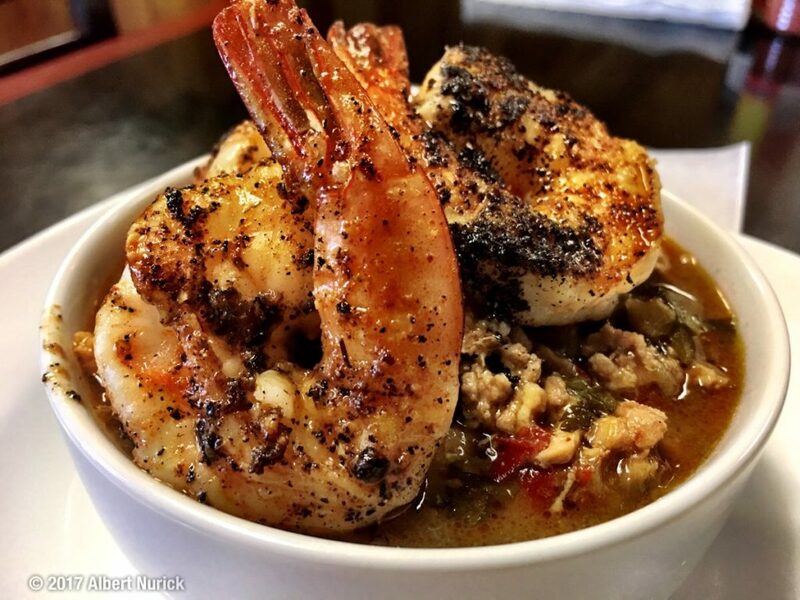 The flavors of Texas are served up on a plate at The Republic Grille, a locally-owned bistro located centrally in the Woodlands (with a new, second location on the far west end). Entrees like chicken-fried steak, shrimp & grits, pork chops, and fried chicken satisfy the appetites of hungry Texans, and the upscale casual setting (featuring historic photos of the early days of the Woodlands by noted photographer Ted Washington) serves as a comfortable backdrop for families, couples, and groups of friends. 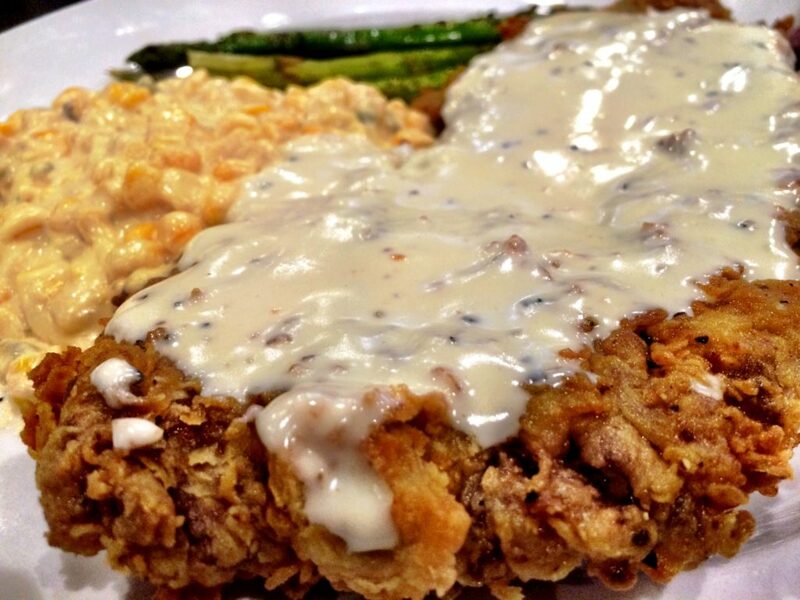 The chicken-fried-steak is getting a bit of a reputation; numerous publications have named it among the Houston area’s best. Fast casual meets upscale cuisine at The Kitchen, the laid-back cousin of the award-winning Tris. Don’t let the counter service fool you; Chef Austin Simmons has created a serious menu full of creative dishes. We’re especially fond of the Greek Chicken and the Dinner Steak Omelette. 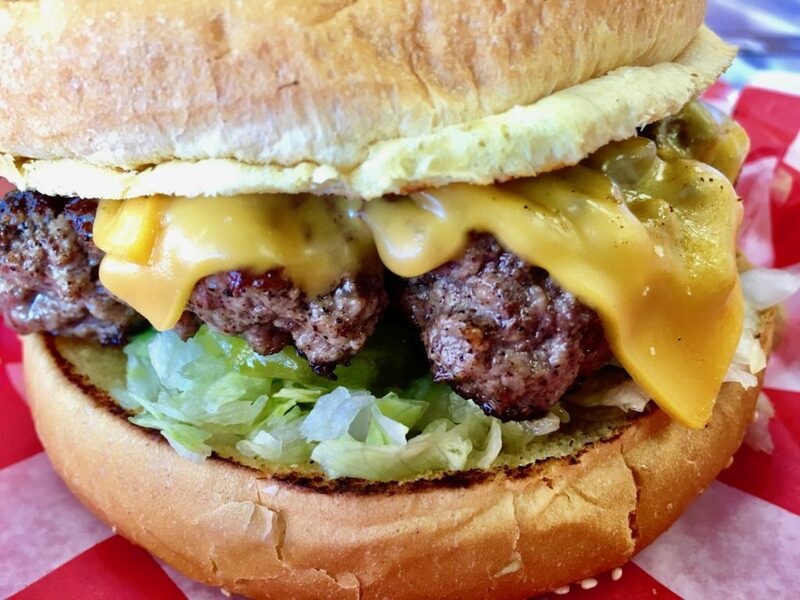 Burgerphiles love the Kitchen as well; Chef Austin knows his burgers. Breakfast/Brunch is another don’t miss; the etherial croissant-based Biscuits & Gravy may be the best breakfast item around. Wine drinkers rejoice… the Kitchen sells wine at retail prices (not restaurant prices) so you can get a great bottle for as little as $10. Carefully curated craft beer selection. Service surprises for fast casual, GM Austen Goodwin and his team are raising the bar in this segment. When Will Buckman quit his job with the phone company to focus on barbecue, some thought he was crazy. Our first taste of Will’s brisket, served from a trailer on Budde road, convinced us he was crazy like a fox. 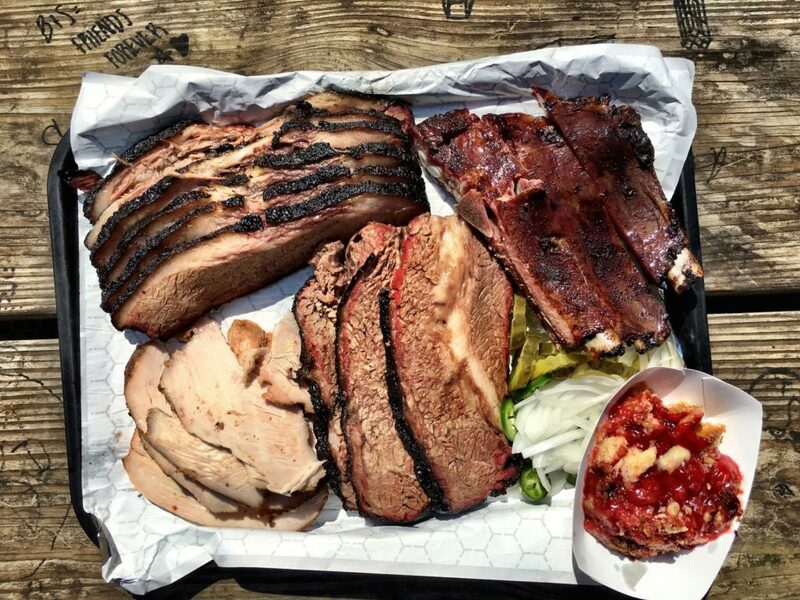 Along with wife Nichole, Buckman has built Corkscrew BBQ into one of the best BBQ joints in the world – Texas Monthly named them to their prestigious Top 10 list in 2017. From the superlative brisket to the gargantuan beef ribs (Saturday only) Corkscrew’s meats do not disappoint. But don’t skip the sides, or Nichole’s remarkable cobblers. And get there early. Corkscrew routinely sells out by mid-afternoon, and the line starts an hour or more before opening. Do you like your barbecue with a little kick? Then BBQ Godfather has you covered. Award-winning competition pitmaster Tony Faour brought his South Texas style ‘Q to Deacon Baldy’s food truck park, and the locals have been lining up ever since. Each meat gets a unique rub, and the perfect sauce is available for those who prefer it. 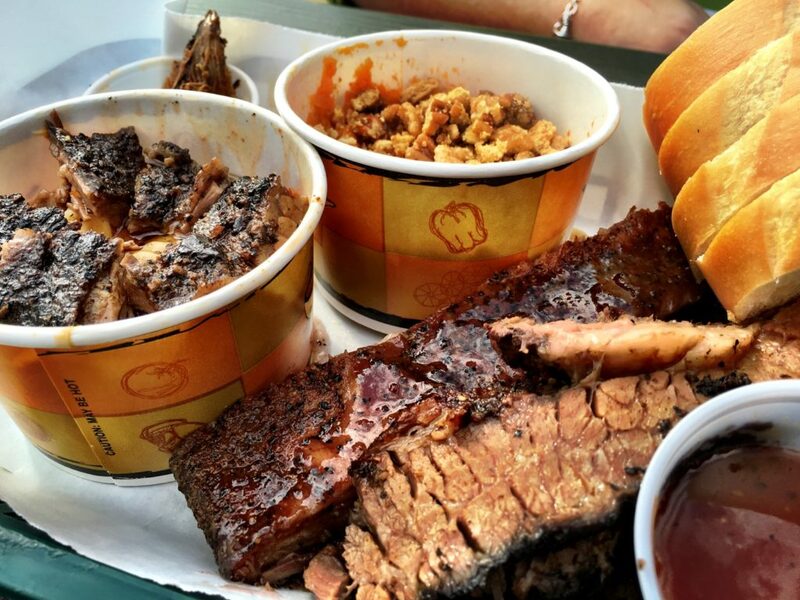 From the delicious pork ribs to spicy brisket, BBQ Godfather offers unique versions of all the Texas BBQ classics. Sides are top notch as well; don’t miss the sweet potato casserole or the mac & cheese burnt ends. 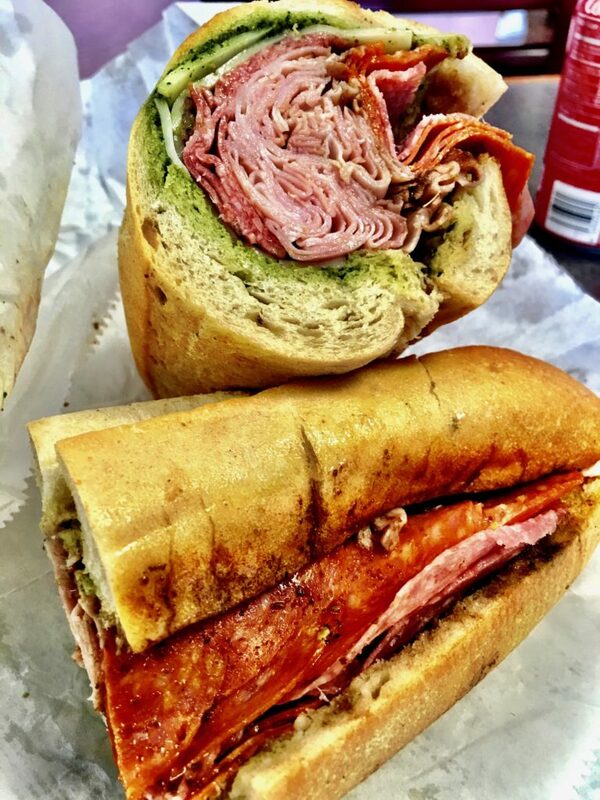 Sandwiches come on a crusty Italian loaf… just don’t call it French bread, or you risk the ire of the Godfather himself. When we heard about a little restaurant in Spring that was serving barbecue, sushi, and even some dishes that combined the two, we thought “that will never work.” We’re glad to report that we were sadly mistaken. Ray Aker, the owner of Q-Shi, had a brilliant idea and did the hard work required to make it a reality. Q-Shi is a very clever concept that combines southern-style barbecue with well executed sushi. The results are impressive; highlights include a Crispy BBQ Roll (an egg roll filled with brisket and cheese, then deep fried) and Smoked Meat Fried Rice (a combination of brisket, rib meat, and pulled pork, all chopped and blended into a traditional Asian fried rice). 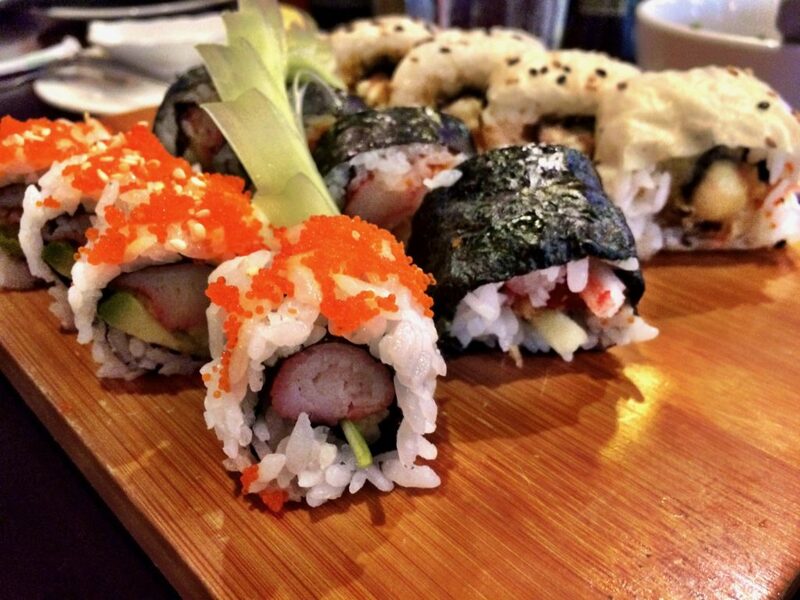 Some sushi rolls incorporate barbecue; some are more traditional. The broad menu has something for everyone; the guy who loves sushi can enjoy it while the girl who prefers barbecue can get what she craves. Friendly, efficient service. Super casual decor; the building was originally a Pizza Hut, and the signature trapezoid windows add to the charm. Guy Fieri featured Q-Shi on his Diners, Drive-Ins and Dives show, and after sampling much of the menu, we understand why. Gourmet burgers cooked over a wood grill are the centerpiece at Fielding’s Wood Grill, the original member of the Fielding’s family of restaurants. Founder Cary Attar sweats the details, and believes in making everything in-house, from the custom grind of 44 Ranch Beef to the house cured bacon. Culinary Director Edel Goncalves takes these ingredients and creates unique burgers that keep the regulars coming back for more. The appeal of Fielding’s extends past the burgers; a very popular weekend brunch features creative spins on brunch classics, and the bartenders pull mugs from a great selection of locally brewed beers when they’re not slinging craft cocktails. Service is brisk and efficient; an iPad bar keeps the kids busy while the parents kick back. Towering custom burgers are on the menu at Grub Burger Bar, the Texas-based chain that foodies have grown very fond of. Skip your basic cheeseburger and go with one of the gourmet creations; the monthly specials are also often well worth trying. Save room for a milkshake; both the PG-rated and the boozy versions are very good. Fast casual service, but your food is delivered to the table, and you probably won’t see your server after that. Looking for a big, well-prepared burger without breaking the bank? Jax has you covered. This locally-owned restaurant chain specializes in half-pound burgers cooked the traditional way on a flat griddle. 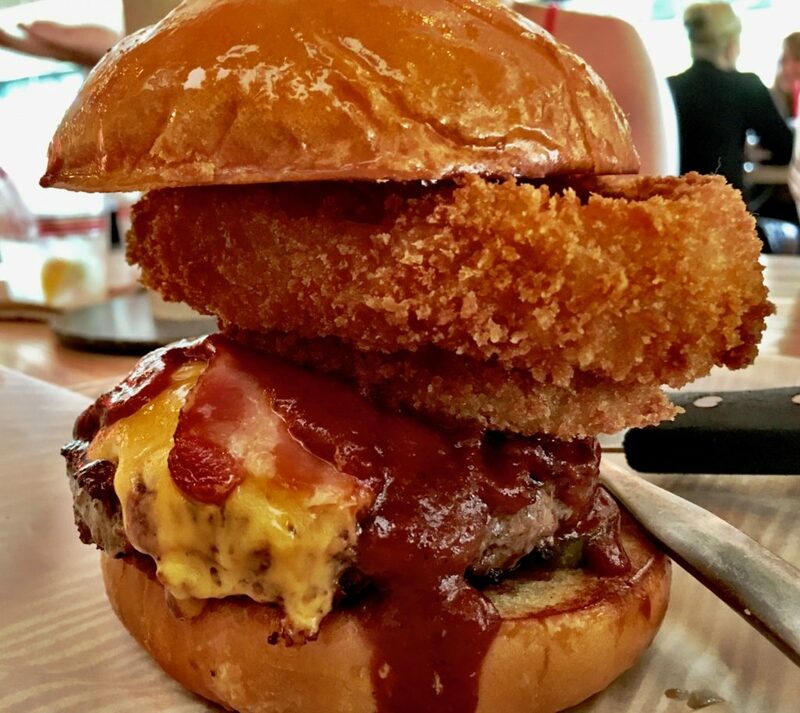 Execution is very good; the thick, juicy burgers are consistent and flavorful. Other options include third-pound burgers and an exceptional crispy chicken sandwich. Jax has expanded from one location to several, and the quality has been maintained. 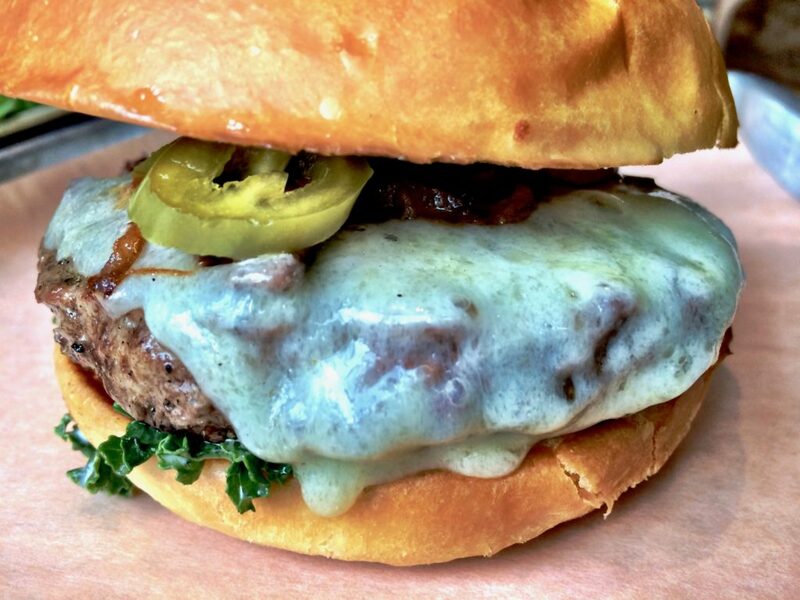 Families and little league teams flock to Jax for a great burger at a great price, and it’s become a part of our regular burger rotation. Amish chicken is in the spotlight at Fielding’s Rooster, the third concept from the wildly successful Fielding’s Culinary Group. Whether it’s fried (traditional southern style or fiery Tennessee Red) or roasted over the wood-burning rotisserie, the result is moist and flavorful. Well executed sharable sides and an impressive bar program complete the Fielding’s game plan, and our early peek had us predicting another winner for Cary Attar and his team. 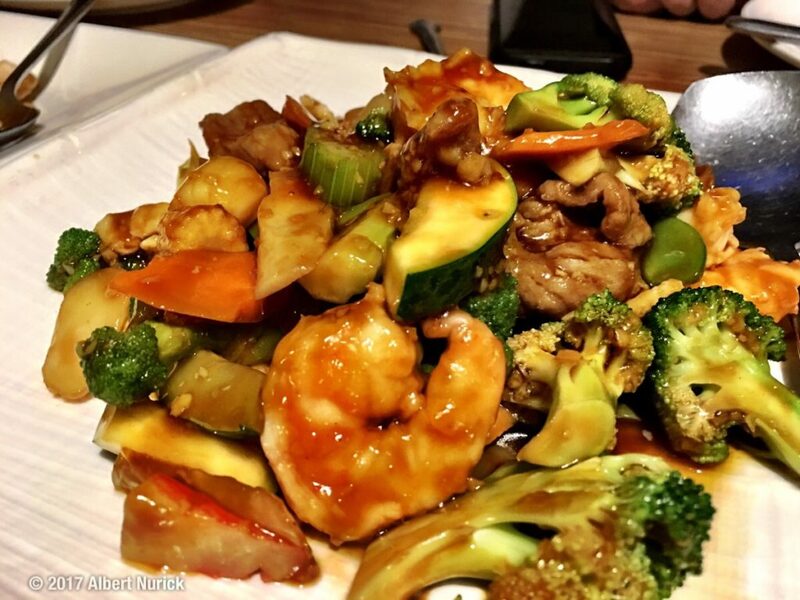 Unique and well conceived Chinese entrees straddle the line between typical Americanized Chinese and the more authentic style you’d find on Houston’s Bellaire Boulevard. 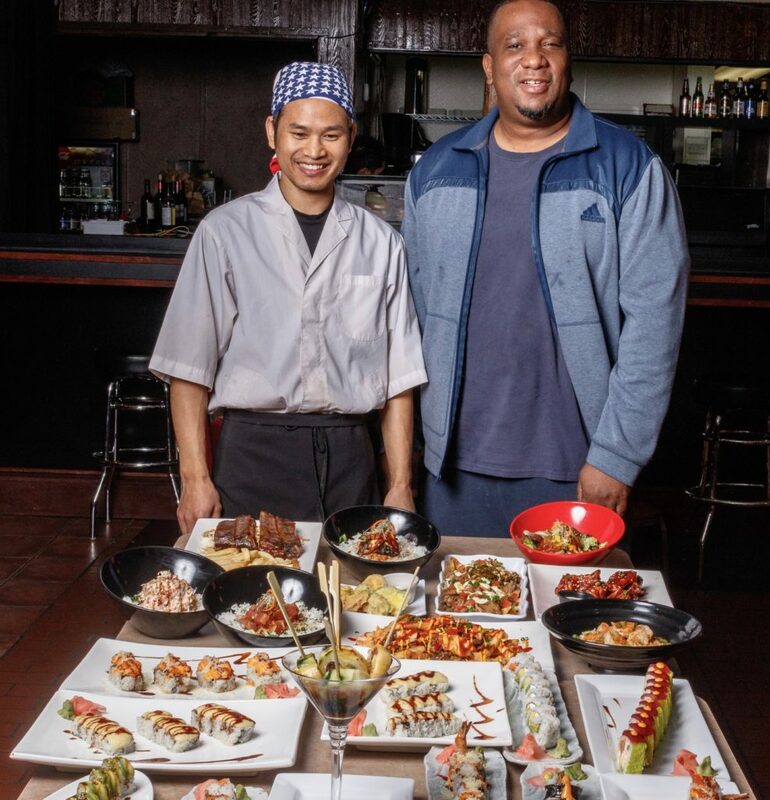 Quality ingredients and the option for very good sushi also differentiate Atsumi from the typical neighborhood Chinese-American spot. Suburban Chinese restaurants can be mind-numbingly predictable, but Shanghai Bistro brings its Manhattan sensibility to the Woodlands. No surprise, because the chef hails from New York City. 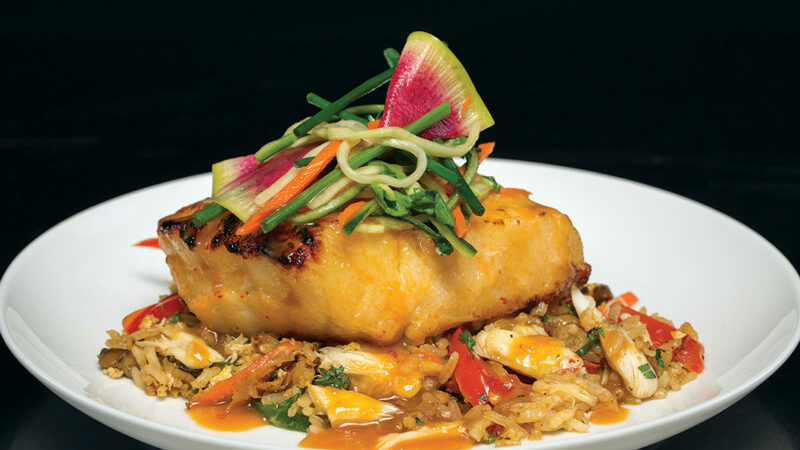 His relocation brings a decidedly upscale approach to Americanized Chinese cuisine. Dishes that are often mundane are elevated by a savvy choice of better ingredients, and the housemade sauces are a welcome departure. Clean, airy setting in a strip center on Research near Gosling. A classic Greek experience awaits hungry diners at The Olive Oil. Located in a huge strip center on Sawdust, The Olive Oil offers classic Greek cuisine, well prepared by the bustling kitchen. Favorites include the mixed grill (the marinade drizzles enticingly onto a bed of spinach beneath the meat) and the gyro. Families pack the restaurant on weekend nights, where belly dancers and musicians turn the dining room into a party. Pallotta’s Italian Grill has been the go-to Italian restaurant for Woodlands’ families for decades. A broad menu of well-prepared options means there’s something for everyone, and the friendly, inviting service keeps them coming back. A wide variety of pastas is a big draw, as are the excellent soups and salads. Innovative specials bring a new dish monthly to a menu that’s full of established favorites. Owner Phil Nicosia treats newcomers like regulars and regulars like family. Update: Consistency seems to have become a bit of an problem when the owner isn’t in the house. Cold food is the most common issue, and the “solution” tastes like a pass through the microwave. We hope that management will take a proactive stance and fix this problem; we hate to see an iconic Woodlands restaurant in decline. 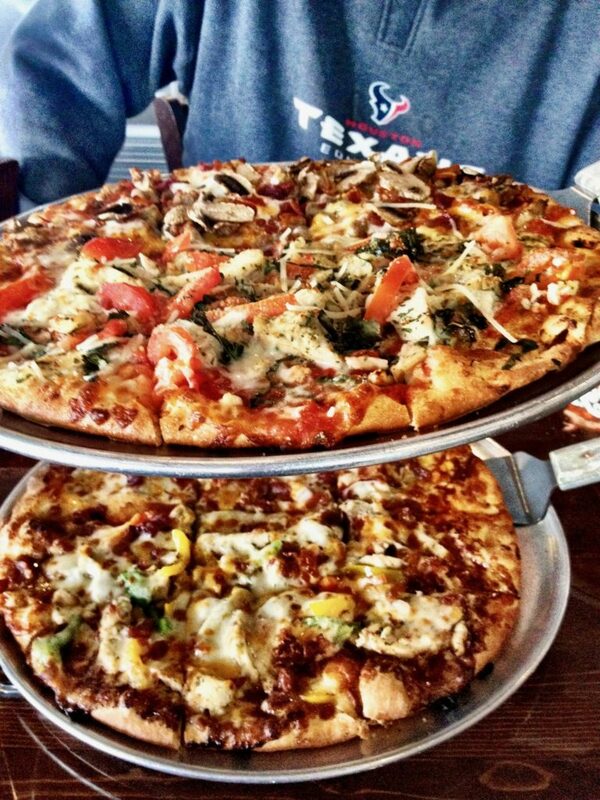 The Woodlands has no shortage of great pizza places. But one name comes up over and over when asked for recommendations. RC’s NYC Pizza & Pasta serves honest-to-Vito New York street pizza, either traditional (cheese only) or with your choice of toppings. They’re serious about pizza: RC himself travels around the nation competing against the best pizza makers in the country, and has repeatedly brought home the hardware. 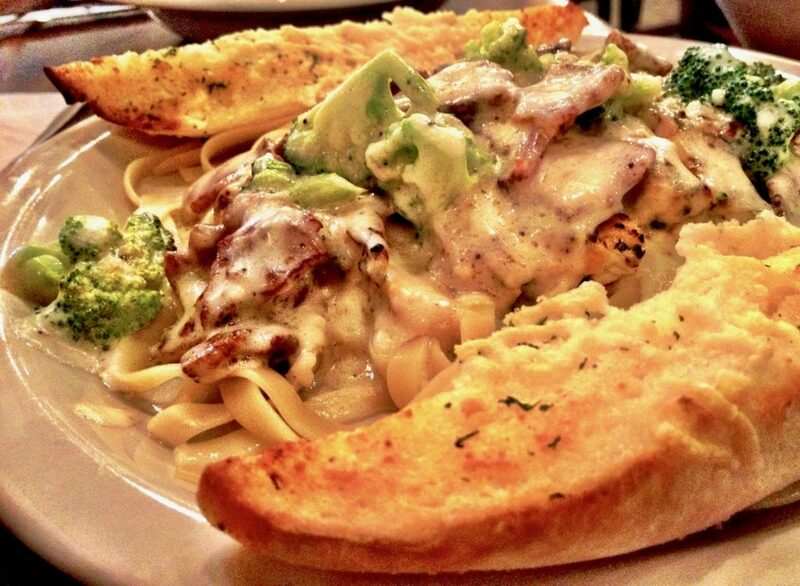 RC’s goes beyond pizza, with outstanding wings, delicious calzones, and great plated entrees. 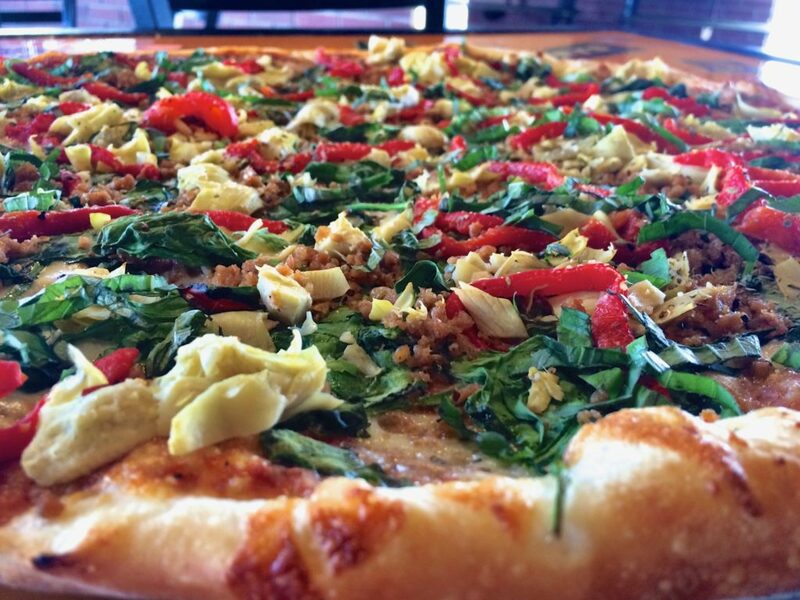 This isn’t your average pizza spot, which is why it earned a spot on our list. Freshly cut toppings on a Chicago-style thin crust (yes, that’s a thing) are the draw at this local chain of pizza spots. 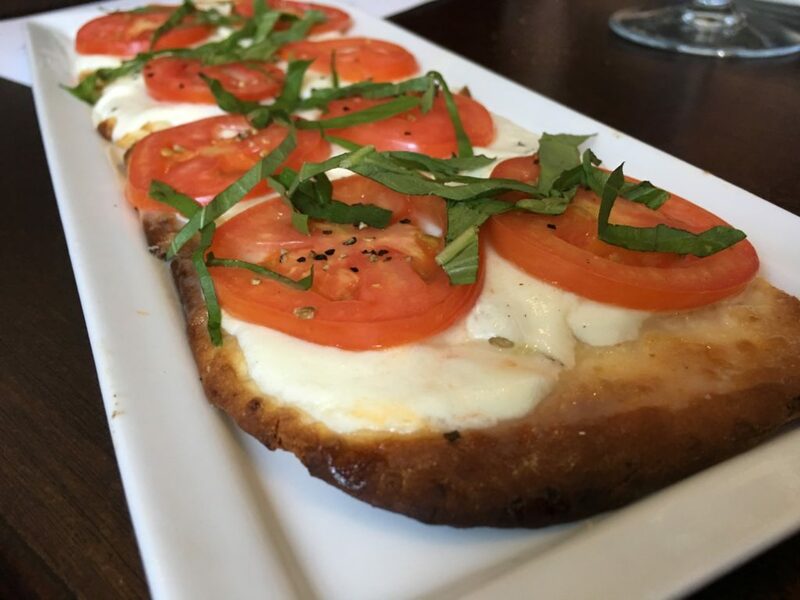 From the original location, Crust has spread out all over the Woodlands area, bringing its popular gourmet pizzas, big salads, and Italian entrees to hungry families. Each Crust location has a different feel, but all share the same focus on fresh ingredients (dough is made several times a day, and never frozen or refrigerated) and great customer service. Foodies in search of the best hot dogs around make the hike up to Highway 105 to drop in at Buldogies. Inside they’ll find handcrafted versions of the food that’s found at a state fair… but prepared far better. Huge hot dogs made from quality ingredients and assembled with attention to detail are the centerpiece, but the excellent sandwiches, carnival favorites, and indulgent desserts delight kids and adults alike. 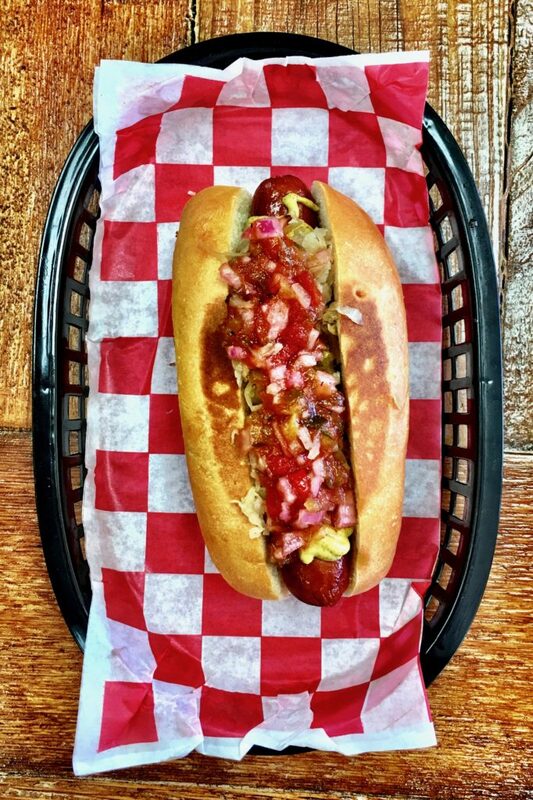 Foodies jump right to the City Crafted Dogs or the Outlaws, each of which is a well-balanced dish with expertly layered flavors. This isn’t James Coney Island; you don’t need to order three, although you may want to try them all. A hidden gem at the far west end of Sawdust, La Cocina de Roberto began as a cozy little taqueria, serving the Timber Ridge neighborhood. But the savvy owners have added more full-fledged entrees to the menu, making it one of our favorite Mexican restaurants in the Woodlands. Tacos are still delicious: Carne asada and camerón are the standouts. 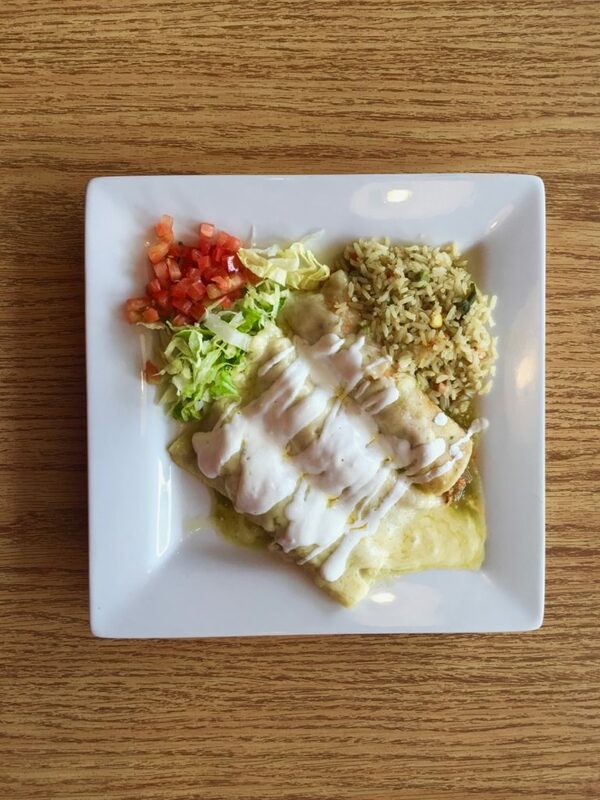 Don’t miss the bargain faijta / shrimp combo, or the excellent chicken enchiladas. Alcohol is BYOB – bring your own liquor, and Roberto will provide setups. You can’t beat a bargain margarita made with premium tequila. Solid Tex-Mex entrees and big margaritas are the main attraction at this family-owned Tex-Mex spot. Owner Adan Medina and his family differentiate their place with delicious flavored margaritas; we’re partial to the Avocado Margarita, which is smooth and delicious. Service is prompt and professional in both the big dining room and the cozy bar. When WAF member Bob Frasier dines at the same restaurant several times a week, it’s worth investigating. And we’re glad we did. Rita’s Cantina, located in a nondescript strip center off Hwy 249, is a restaurant we’d have driven by without noticing. But now we’re in on the secret. Inside Rita’s is some of the best Mexican food in the Houston area. 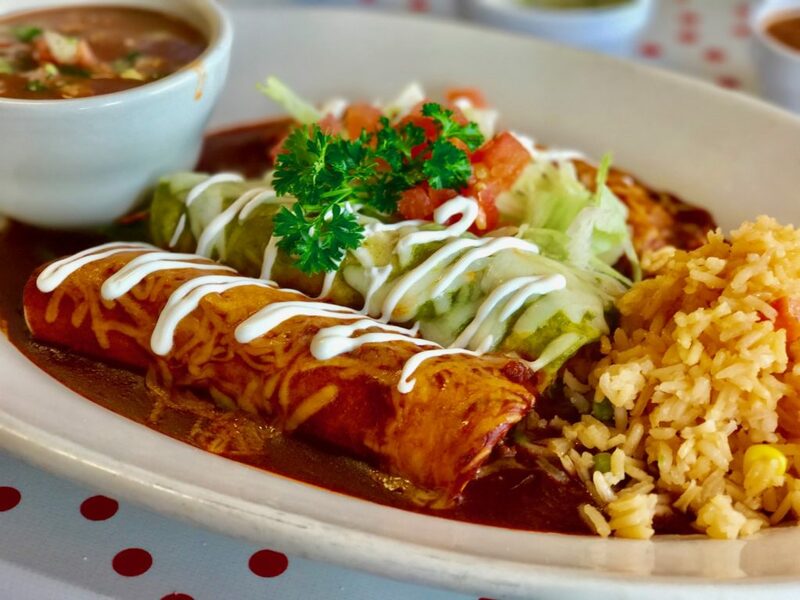 From beautifully composed combination plates to the sizzling fajitas, Rita’s food is several steps above the typical Mexican restaurant in the area. Both flavors and presentation are superb; chef Javier Gonzalez is one of the most talented in the city. His wife Judy oversees the comfortable dining room, filled with regulars who are in the know. Outstanding sub sandwiches are the draw at Tony’s Italian Deli, a notable sandwich shop in a nondescript strip center across from the entrance to April Sound. Founded by the prolific Ron Nicoletta, perfected by Hootie and Mary Trant, the new owners are moving forward with the original concept, and producing huge, tasty sandwiches that satisfy the crowd. This isn’t Subway, folks. Choosing from the wall of options is tough. New visitors should resist the urge to build their own and delve into one of the recommended creations; our favorites are the J. Gandolfini (cold) and the Lucky Luciano (hot). Expect a filling meal, and another one at home with the half you couldn’t eat in the store. Chef Ron Nicoletta strikes again with another category-defining restaurant along Highway 105. Chef Ron has departed, but the crowd-pleasing seafood lives on. Amore specializes in expertly prepared seafood that ventures beyond the Gulf and brings in great flavors from the East Coast. Seared tuna steak was a highlight; a slab of beautiful sushi-grade tuna delicately seasoned and seared rare. Fried calamari was among the very best we’ve tried; exquisitely tender, and accented with deep fried red and jalapeño peppers. Standards like fried shrimp are outstanding as well; unique Italian breadcrumb crust compliments the large, tasty shrimp. Don’t let the casual, charming setting fool you; this is serious seafood. Our review panel is a carefully selected group of food enthusiasts chosen for their knowledge and discerning palates. They remain anonymous so they can explore restaurants and dine without receiving special treatment from the staff. Don’t agree with the selection of restaurants! There are one restaurants I consider very good and are not even mentioned! Congratulations to each restaurant and staff for offering great choices and services in a highly competitive industry. We appreciate your dedication.